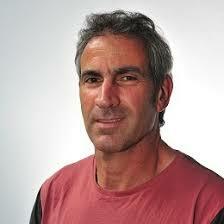 Dr. Warren Young is an Associate Professor in Exercise & Sport Science at Federation University Australia. He is the Coordinator of the Master of Strength & Conditioning program at Federation University, and teaches and conducts applied research in a variety of topic relating to physical preparation for sport. Warren has published numerous articles over three decades, and has a special interest in speed and agility training and assessment. His research, among other results, led to the development of the Reactive Strength Index. You can learn more about Dr. Young from the Federation University Australia and find his research on Research Gate.